Drum and bass music, often stylized drum ‘n’ bass, D’n’B, or D&B, has emerged from the early 1990s underground rave and jungle scenes in the United Kingdom to become a global phenomena. The music of drum and bass varied, but was defined by its focus on fast syncopated breakbeat drum patterns and heavy basslines from which it derives its name. These traits were inherited from its roots in “jungle techno” and later just “jungle” music, which had the same high-tempo, sampled breakbeats, heavy basslines, and samples of older Jamaican music. As a result of using samples to create its music, drum and bass often incorporates influences from many other scenes and styles of music, with a major influence being the original Jamaican dub and reggae sound, and also jazz and funk. Despite the affiliation with the ecstasy-fuelled rave scene, jungle also inherited some associations with violence and criminal activity, both from the gang culture that affected the UK’s hip-hop scene and as a consequence of jungle’s often aggressive sound and themes of violence reflected in the choice of samples. However, this developed in tandem with the often positive reputation of the music as part of the wider rave scene and dancehall-based Jamaican music culture prevalent in London. By 1995, some jungle producers began to move away from the original ragga-influenced style and create what would become collectively labelled as drum and bass. The popularity of drum and bass at its commercial peak ran parallel to several other homegrown dance styles in the UK including big beat and hard house. Drum and bass has since fragmented into various subgenres within its scene ranging from jump up, liquid and minimal drum and bass to neurofunk & techstep. At the same time, it has also influenced many other genres like hip hop, big beat, dubstep, house, trip hop, ambient music, techno, rock and pop, with well-known artists such as Linkin Park, Missy Elliott, Nine Inch Nails, David Bowie and others using D’n’B techniques and elements in their music, such as Linkin Park’s Breaking the Habit (see Media). Drum and bass has since become a global culture, emerging from the underground rave and jungle scenes in the early 1990s in the United Kingdom. It remains the most popular in the UK although it has developed scenes around the world. Drum & bass was originally mostly sold in 12-inch vinyl single format, but with the emergence of drum & bass into mainstream music markets, more albums, compilations and DJ mixes started to be sold on CDs. As digital music became more popular, websites focusing on electronic music such as Beatport, began to sell drum and bass in digital formats such as mp3 downloads. With UK and Australian bands such as Rudimental, The Prodigy, The Qemists, and Pendulum having songs charting in mainstream radio and being featured in video games, drum & bass has come far from its underground roots into mainstream attention. 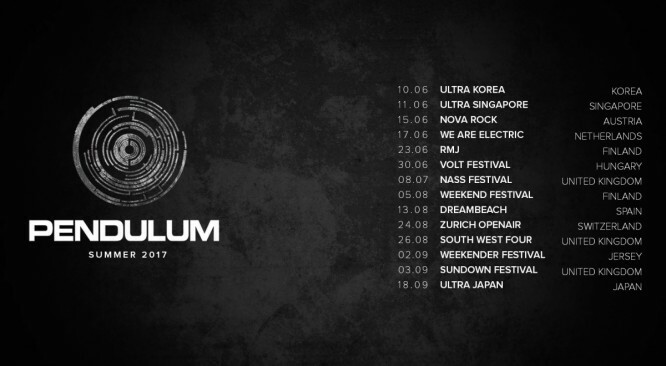 The most recent exposure to a large mainstream audience was when the Australian band Pendulum (whose album “Hold Your Colour” became the biggest selling jungle drum ‘n’ bass album of all time) performed live at the 2017 Ultra Music Festival in Korea, Singapore, Japan and elsewhere. The United Kingdom of the early 1990s left many young urbanites disenfranchised and disillusioned with a seemingly crumbling societal structure. In Energy Flash, Simon Reynolds writes that that jungle and drum & bass evolved as a form of cultural expression for London’s lower class urban youth; it was a notably more dark, less euphoric style of music than many of the other styles popular at raves. The D’n’B scene was racially mixed, but was much more popular with black British youths than other rave styles such as techno, perhaps because of its roots in older Jamaican and jungle techno music. A style of rave dance named “X-Outing” or “D’n’B Step” developed in Eastern Europe during the late 2000s. The street dance involves quick step-like movements, whereby the dancer hops between their heels and toes in a rapid motion, from leg to leg. The dancer would also often rock forwards and back on their heels and toes with one of their legs in front as can be seen at the following video, especially at [3:58]. Live performances of drum and bass music is where it stands out, with the crowd jumping and pumping their fists in time to the fast, high energy beats of the music. The genre places great importance on the “bassline”, a deep sub-bass musical pattern which can be felt physically through the powerful sound systems employed at concert venues due to the low-range frequencies it featured. Drum & bass concerts are also talk-prominent, almost always featuring a live vocalist known as the MC. 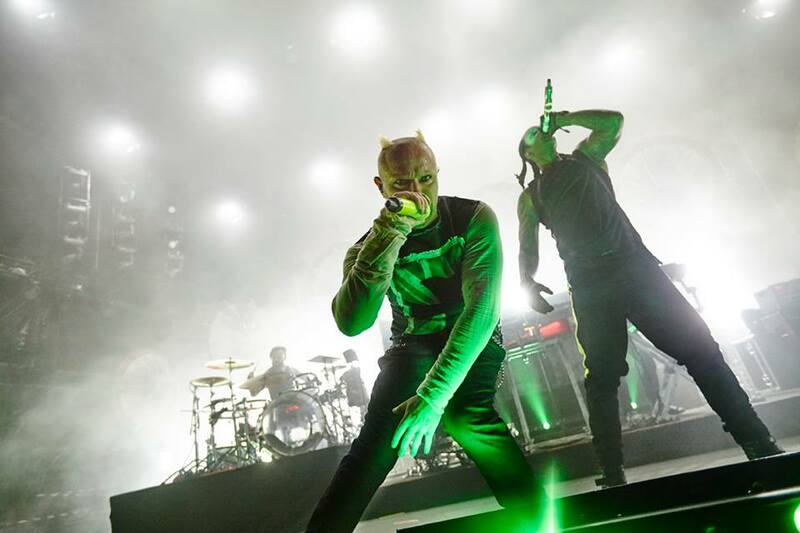 The MC has an important job of coordinating with the musicians to get the crowd hyped up and moving , as can be seen in The Prodigy’s concert at Rock am Ring and Pendulum’s performance of Blood Sugar/Voodoo People (see Media). The crowd might also form mosh pits spontaneously, but not always. The high energy beats of drum & bass music also lends itself well to video games and is especially popular in extreme sports and racing video games such as SSX and the Need for Speed series, whose soundtracks feature many drum & bass songs and have helped to bring the genre to mainstream attention. Some games such as the Grand Theft Auto series even feature an entire in-game radio station (MSX/MSX 98 in Grand Theft Auto III and Grand Theft Auto: Liberty City Stories) dedicated to playing drum & bass songs. Drum & bass is also often used as background music, especially in movies, television commercials, and shows such as BBC’s Top Gear thanks to its aggressive and energetic beats. For example, Hive’s “Ultrasonic Sound” was used in the soundtrack for The Matrix, Ganja Kru’s “Super Sharp Shooter” can be heard in the 2006 film Johnny Was, and the Ez Rollers’ song “Walk This Land” appeared in the film Lock, Stock And Two Smoking Barrels. However, due to the relative obscurity of the genre, most mainstream listeners would not recognize the music as drum ‘n’ bass. The Prodigy performing live at Rock am Ring (Germany) in 2009, showcasing the signature fast syncopated breakbeats and heavy basslines of drum ‘n’ bass music, while also showing drum ‘n’ bass’ jungle roots at around [21:40]. It also shows the crowd dancing in time to the beat and how the MCs (Keith Flint and Maxim) interact with the crowd and the music they are playing to hype the audience up. Pendulum performing live at Glastonbury (UK) in 2009, showcasing some of the signature beats of drum ‘n’ bass music, and the crowd dancing in time to the beat. It also shows how the MC (Gareth McGrillen) works with the music to hype up the crowd. Pendulum playing Blood Sugar and The Prodigy’s Voodoo People live at Download Festival (UK) in 2011. The video shows the interaction of the MC (Gareth McGrillen) with the music and the crowd [3:12], and includes shots of mosh pits forming in the front of the crowd. Rudimental’s 2013 breakthrough single to the mainstream charts at #1 in the UK, #3 in Australia, and later certified platinum by the British Phonographic Industry. Even though the song starts slow, it incorporates drum and bass’ signature fast syncopated breakbeats around the [1:05] minute mark. One of The Qemists’ songs that was featured in the soundtracks of many mainstream video games such as Need For Speed: Undercover, Pure, and SSX. Another one of The Qemists’ songs that was featured in the soundtracks of many mainstream video games such as Need For Speed: Shift, Forza Motorsport 3, and MotorStorm: Arctic Edge. Linkin Park’s song which features a high-tempo breakbeat drum beat, similar to D’n’B.